The American Heart Association states that you are more likely to witness a medical emergency with a family member than anyone else. Would you know what to do if someone was having a seizure or heart attack? Learn to recognize and manage a wide number of medical emergencies and injuries by enrolling in basic first aid and CPR certification courses in Surrey, B.C. 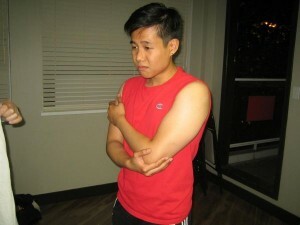 The leading provider of these courses in the Lower Mainland is Vancouver First Aid Ltd. This provider has two training locations with the most popular classroom located in Newton. Participants may sign up for a variety of courses including on-line safety, food safe level 1, occupational first aid, standard first aid and CPR and AED “only” training. Customers that register with this provider in Surrey are assured of the lowest prices, highest quality and most experienced instructors available. Learn first aid and CPR in Surrey by using the contact information provided below. The above posted list is a brief list of the popular courses available in Surrey. The following classes are also available either in open programs, private classes or on-line. Visit the website to find out all of the courses available in Surrey. To register for a food safe, safety and / or first aid certification course in Surrey use the following contact information. For more information about the training location view the map below. Private classes are available for groups of almost any size. Use the contact information above to receive a quote. Injured extremities are usually bandaged to immobilize them and prevent further damage. If a participants attends 100% of the course and does not successfully complete it the first time he or she can attend the course one more time free of charge. Participants that complete occupational first aid level 1 will receive certification that meets WorkSafe BC standards. Other courses, such as standard and childcare first aid provide certification that meets many workplace and academic requirements. Contact your employer and / or school to determine what certification you need. 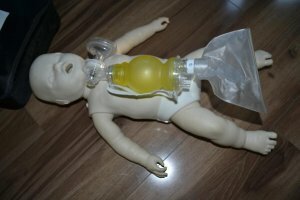 Participants that enrol in certification programs in Surrey will practise these techniques using mannequins and volunteers.